An answer to the man cave, the ‘She Shed’ has become a global phenomenon. Whether they are reclaiming a domestic space or redoing the old garden shed, women all over the world are creating beautiful studios, reading spots or places to just get away for a few minutes. 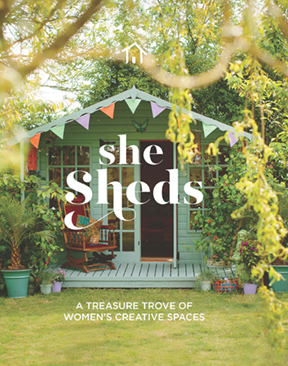 She Sheds is a fully illustrated celebration of these spaces and the women who create them. It promotes female creativity, artistry and design and is both a comfort and an inspiration to women everywhere who aspire to design and create their own private spaces.